What smells better than a baby? I can’t help it. When I hold a new baby, I can’t stop myself from taking long, heady sniffs of that particular warm-doughy-milky-baby-scent. But can that particular baby scent be bottled? 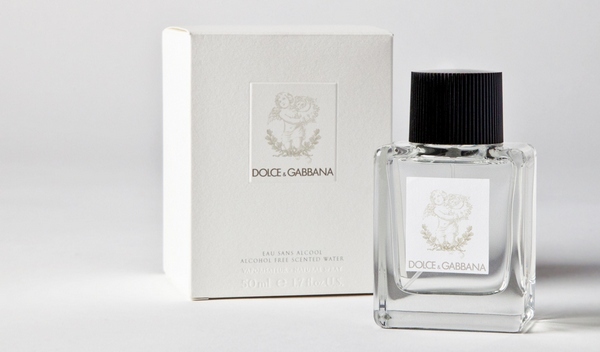 Italian design house Dolce & Gabbana have recently launched a designer perfume for babies, Baby Fragrance. Designer Stefano Gabbana believes that babies can smell sweeter than they already do with Dolce & Gabbana’s alcohol-free fragrance, which contains notes of bergamot, melon, honey and musk (I find this a little peculiar as these aren’t scents I normally associate with babies). The fragrance was inspired by the “softness of baby skin, the freshness of baby breath, a mother’s sweet hug and the first smile”. A 50-ml bottle of the Dolce & Gabbana Baby Fragrance fragrance costs US$45 and is available exclusively at the Dolce & Gabbana Boutique in Corso Venezia 7. Personally, I don’t think a baby’s natural scent can be improved upon, even with the finest perfumers in the world working on bottling it. I would also be reluctant to put anything on my baby’s skin that wasn’t entirely necessary. But perhaps I’m old-fashioned. Over to you, readers – would you use a baby perfume on your bub?